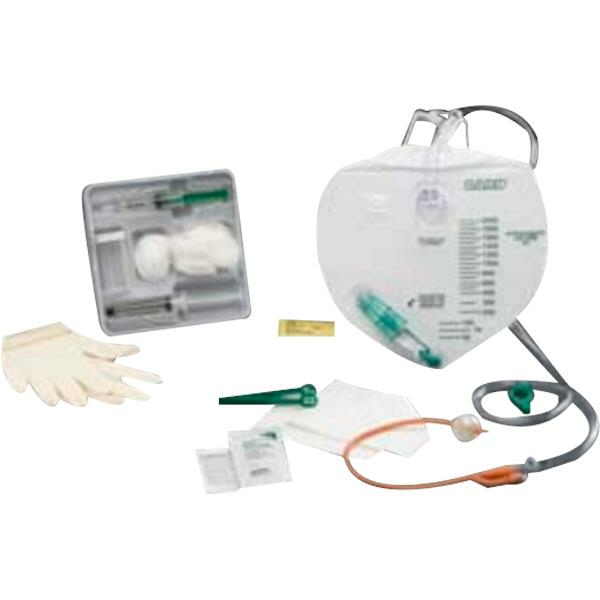 Bard Lubricath Drainage Bag Foley Tray features a latex foley catheter pre-connected to a drainage bag and includes the Uro-Prep tray which contains all materials necessary for aseptic catheter insertion. The foley catheter provides for smoother insertion and enhanced patient comfort through the hydrogel coating which has unique ability to absorb fluid, thus creating a hydrophilic cushion between the catheter surface and the urethra. - Ensure that the Bard Foley catheter balloon is positioned well within the patients bladder. Slowly, with a gentle, constant force, inflate the Bard Foley catheter balloon with the volume prescribed on the package. - Note that a 5cc balloon must be inflated with between 9cc and 10cc of sterile water.